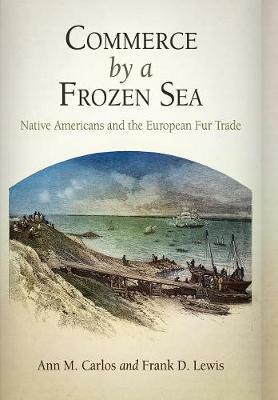 Commerce by a Frozen Sea is a cross-cultural study of a century of contact between North American native peoples and Europeans. During the eighteenth century, the natives of the Hudson Bay lowlands and their European trading partners were brought together by an increasingly popular trade in furs, destined for the hat and fur markets of Europe. Native Americans were the sole trappers of furs, which they traded to English and French merchants. The trade gave Native Americans access to new European technologies that were integrated into Indian lifeways. What emerges from this detailed exploration is a story of two equal partners involved in a mutually beneficial trade. Drawing on more than seventy years of trade records from the archives of the Hudson's Bay Company, economic historians Ann M. Carlos and Frank D. Lewis critique and confront many of the myths commonly held about the nature and impact of commercial trade. Extensively documented are the ways in which natives transformed the trading environment and determined the range of goods offered to them. Natives were effective bargainers who demanded practical items such as firearms, kettles, and blankets as well as luxuries like cloth, jewelry, and tobacco-goods similar to those purchased by Europeans. Surprisingly little alcohol was traded. Indeed, Commerce by a Frozen Sea shows that natives were industrious people who achieved a standard of living above that of most workers in Europe. Although they later fell behind, the eighteenth century was, for Native Americans, a golden age.